Taber Time! : SO what Wednesday! 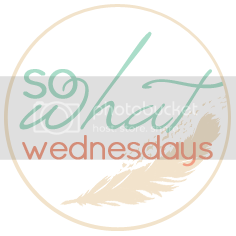 I am late on posting today, but I am linking up with Shannon for "So What Wednesday"! Haven't stopped playing the new Justin Timberlake CD all week. I am addicted. Have serious anxiety about having to sleep/stay alone for 5 days while my husband is gone. How did I do it before?! Just tasted the new Siracha flavored lays chips and almost died because it tasted so spicy! Stayed up super late this entire week wasting time watching a stupid TV show. Our recent watch is Gordon Ramsey's Kitchen nightmares. HATE cleaning with a passion and my apartment is starting to drive me crazy. I really want to hire someone. Am going to go eat a delicious cheeseburger tonight for a special date before the hubs leaves tomorrow. Am feeling very boring this week and lacking on blogging material. Ideas? Made my husband go shave for me today because I cannot stand facial hair. Aside from work this week, this about sums it up. 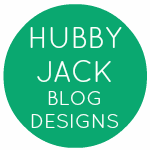 Yeah, the BlogLovin thing is really freakin me out. I hope to figure out the scoop soon. Go register or download the app and follow me there! Also keep your eye out the first of April, I am teaming up with Laura for a giveaway! Happy Wednesday! Anyone have any good book recommends? I cannot sleep without my husband. It is ridiculous. What did I do before him? �� Can't wait for the giveaway!